This was what I had for breakfast at my hotel in Paris. The bread and pastries were very good — especially the croissants and pain au chocolat. 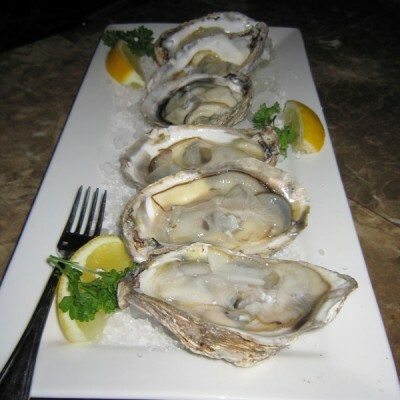 I ate plenty of those (3-4 pieces each). The croissants were lovely with butter and nuttela spread. I know the French don’t eat much butter, but I love eating my bread with butter. Milk was fresh, coffee was fragrant and there were plenty of cheeses to eat. 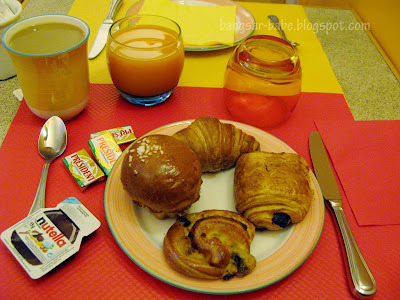 I really miss the breakfast in Paris! 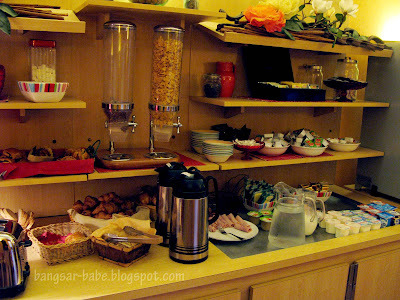 you eat so much yet still so slim.. envy betul lah me..
maybe all the butter is already used in the pastry and croissantS!